Personalize the message (30 ch. max) You have 30 characters left. 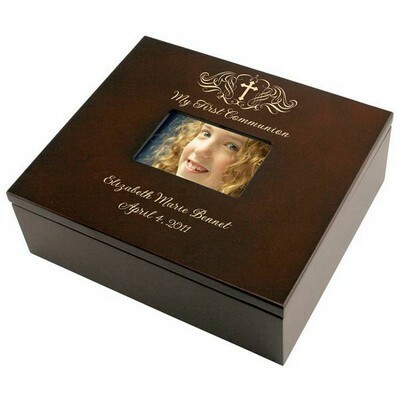 Our engraved wooden First Communion box makes a wonderful keepsake they will treasure. 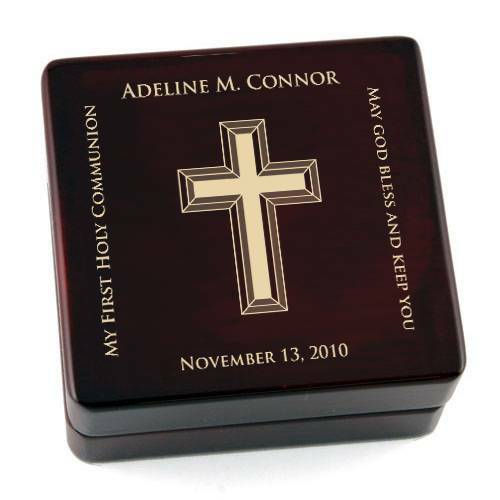 Measuring in a 3 3/8" x 3 1/2" x 1 1/2", this elegant box reads "My First Holly Communion" along with a special message on the other side. The top can be personalized with a name and the bottom is personalized with a date. 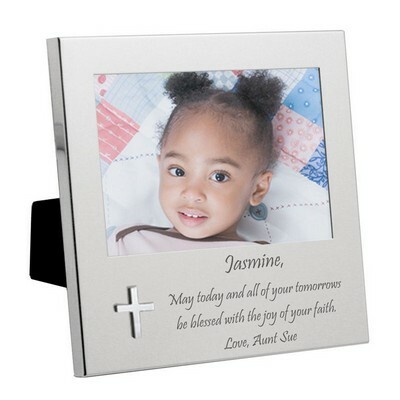 The center cross is contemporary enough to suit the perfect child. 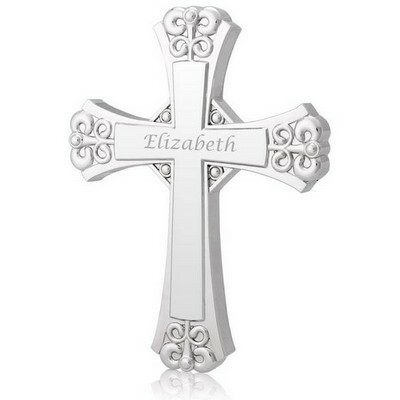 Personalize the top name, bottom date and right side message. 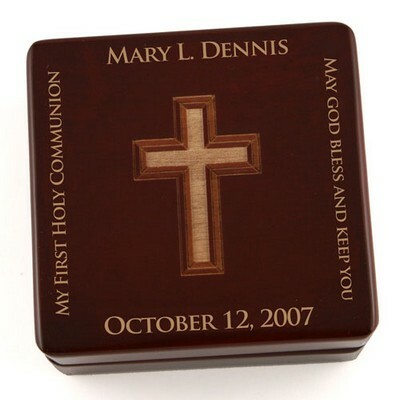 "Personalized Contemporary First Communion Wooden Rosary Box"
Comments: This is the perfect communion gift for a boy. I gave one to my now 14 year old grandson and purchased this one for his younger brother. 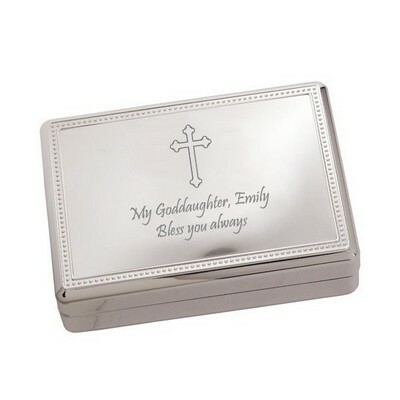 The box is beautifully made and the engraving to personalize is exquisite. You will be very pleased if you decide to purchase. Comments: I have ordered this gift on countless occasions over the years. 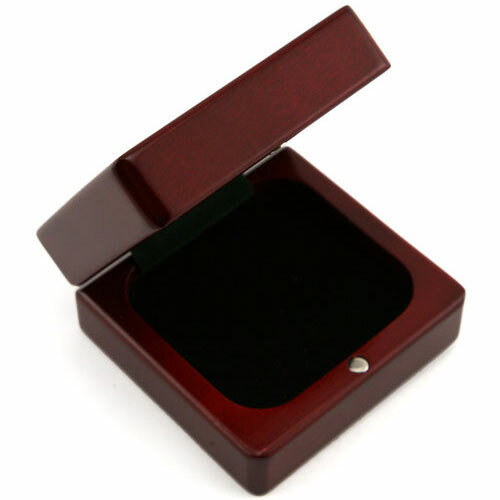 It is consistently a lovely, well-made product that is appreciated by all recipients. "Great gift & customer service"
Comments: I have purchased at least 7 of these over the years. 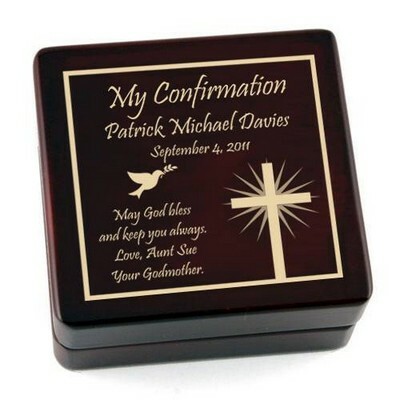 They have always been well-made and engraved, and much appreciated by the recipients. This time, although the graving was well done, the box itself was not in perfect condition. 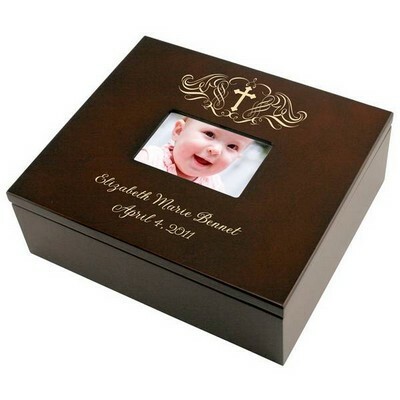 I brought it to the attention of Memorable Gifts and they replaced the product. Thank you for the good service! Comments: The order arrived on time as indicated. The quality of the box was good and the personalization was very nicely done. Comments: Religious gifts of any kind are hard to find. 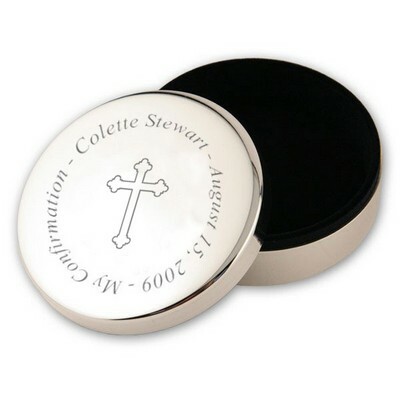 This first communion rosary box was perfect. I was very pleased with the craftsmanship. It could be used for any occasion. very nice!